I was a totally lousy blogger last year and if it wasn't for Netflix showing FRIENDS again I would have forgotten writing about this experience. 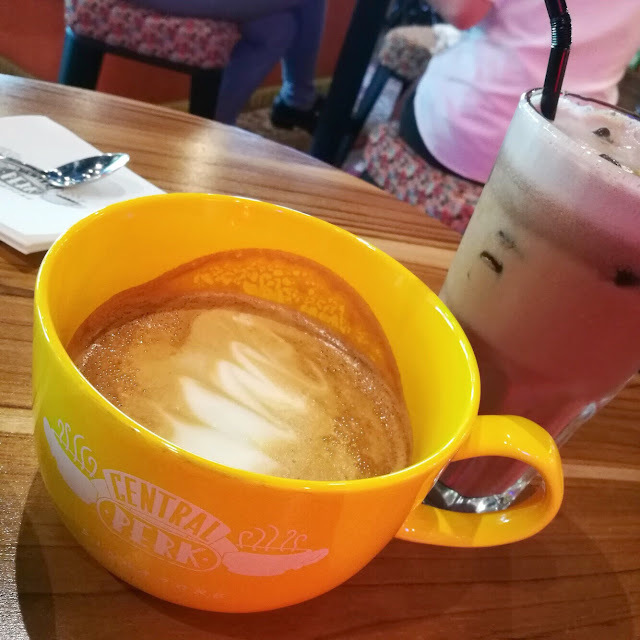 So, yes, it has been almost a year now, but I'd like to share our visit to Central Perk in Singapore. For our first trip out of the country together, my boyfriend and I went to Singapore for my birthday month last year. Together with my friends Ronnie, Kayle, and JV, we were hosted by our friend Ed who is currently working there. For the last two days of our trip though, they planned to go to Malaysia while we opted to stay and explore the Lion City more on our own. It was already our sixth day there and we were already feeling confident we wouldn't get lost, having been spoiled by the efficiency of their transportation system. 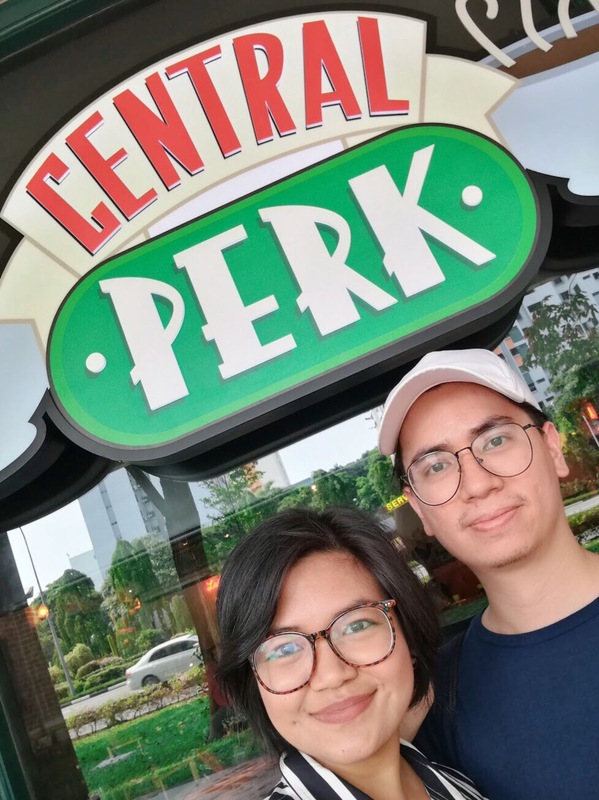 Armed with only our data plan and good ol' Google Maps, we were able to find our way to Central Perk! Being a fan of the show, the interiors instantly made me feel right at home! 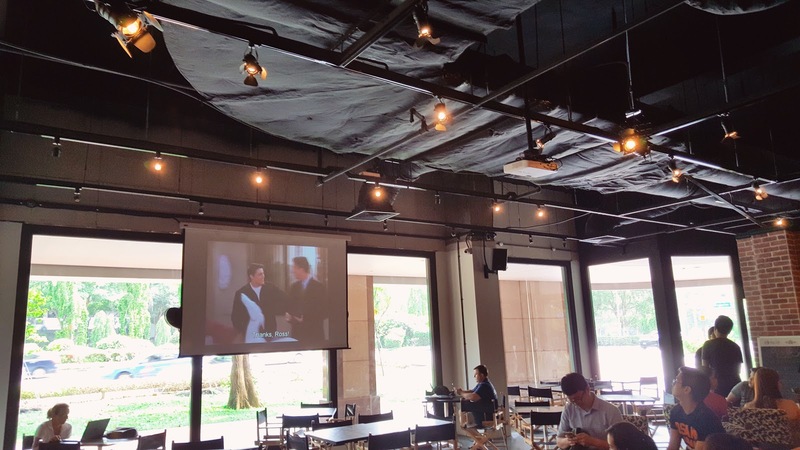 They have a projector that screens FRIENDS episodes all day, every day. Looking around the café certainly made me feel giddy because it looks exactly how I imagined it to be, down to the orange couch! 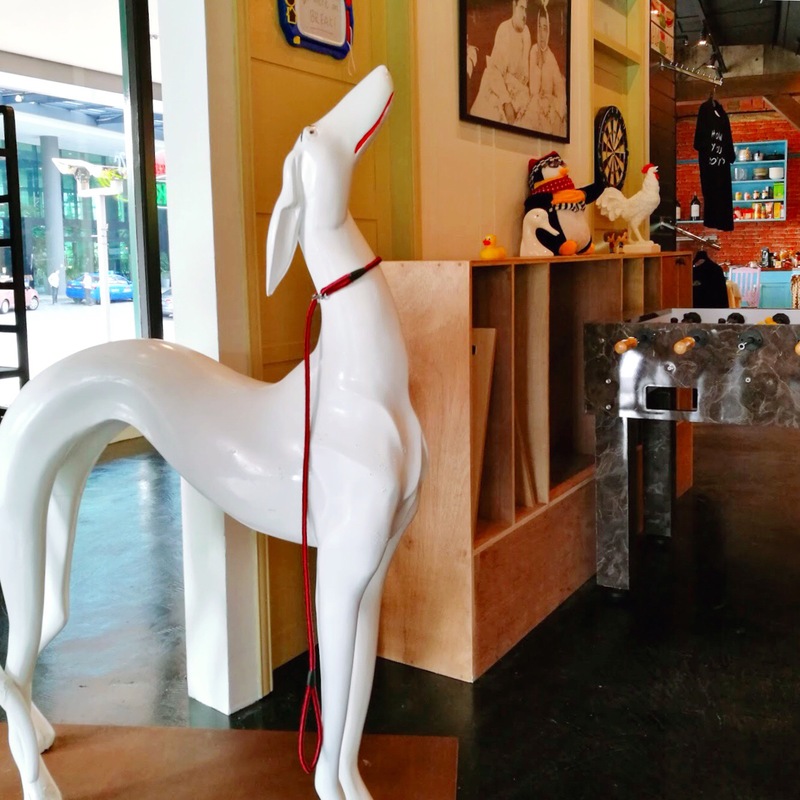 We wanted to sit on it but we were advised customers need to call in to reserve it beforehand. This is perfectly understandable as the orange couch is surely very popular among the show's fans. We settled for one of the tall tables and chairs instead. 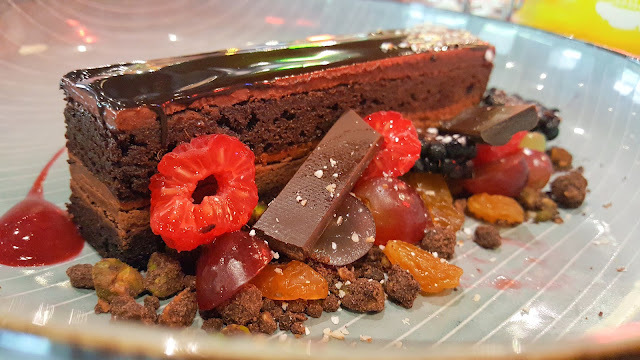 I wish I took a photo of the menu, but you can view the online version on their website. We already had lunch in a hole-in-the-wall serving authentic Chicken Rice, so we ordered desserts. Even the food are FRIENDS-themed! 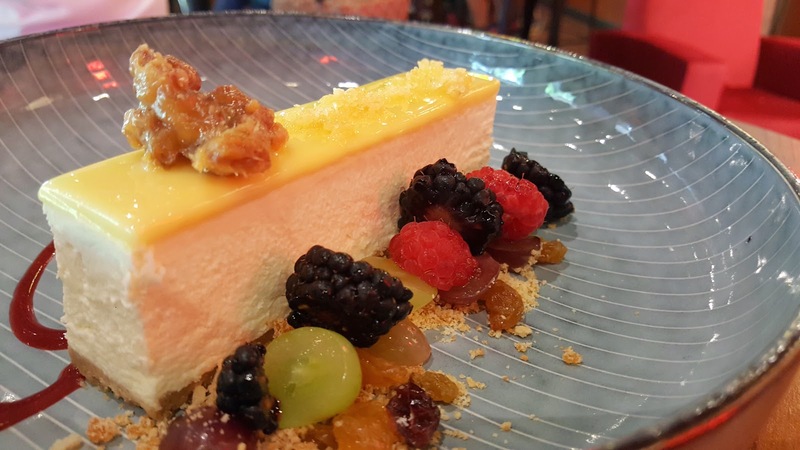 You may remember the cheesecake as the one they fought over because it was too good. 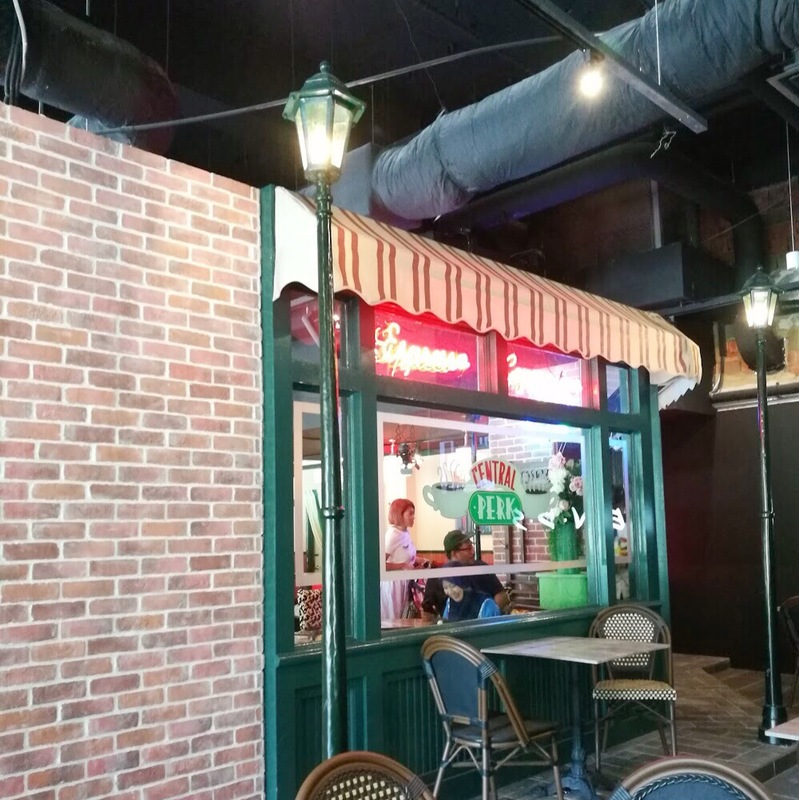 After eating or while waiting for your order, you might want to drop by the other side of the restaurant to see more props from the show. Make your visit more fun by inserting a little competition: bet your companion that you're better at naming the episode where the props were shown. 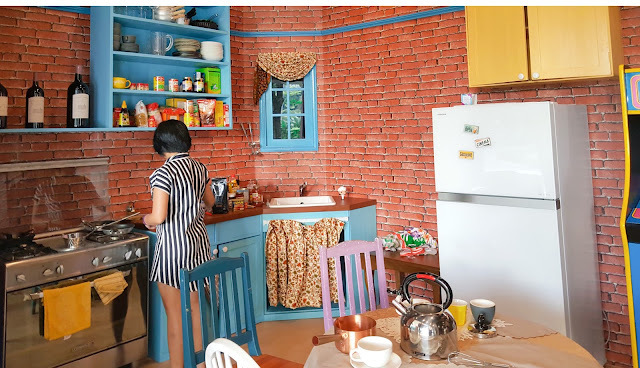 My favorite is the replication they made of Monica's kitchen. They also have merchandise available for sale, perfect for souvenirs. I wanted to take home a coffee mug but I was worried it will just break in transit. 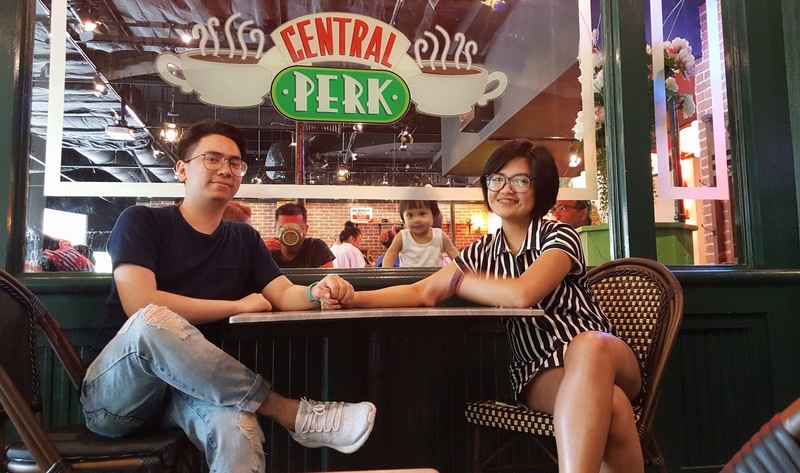 We did not stay long because we still had several places we wanted to squeeze in and visit, but we truly enjoyed our Central Perk experience. My advice? 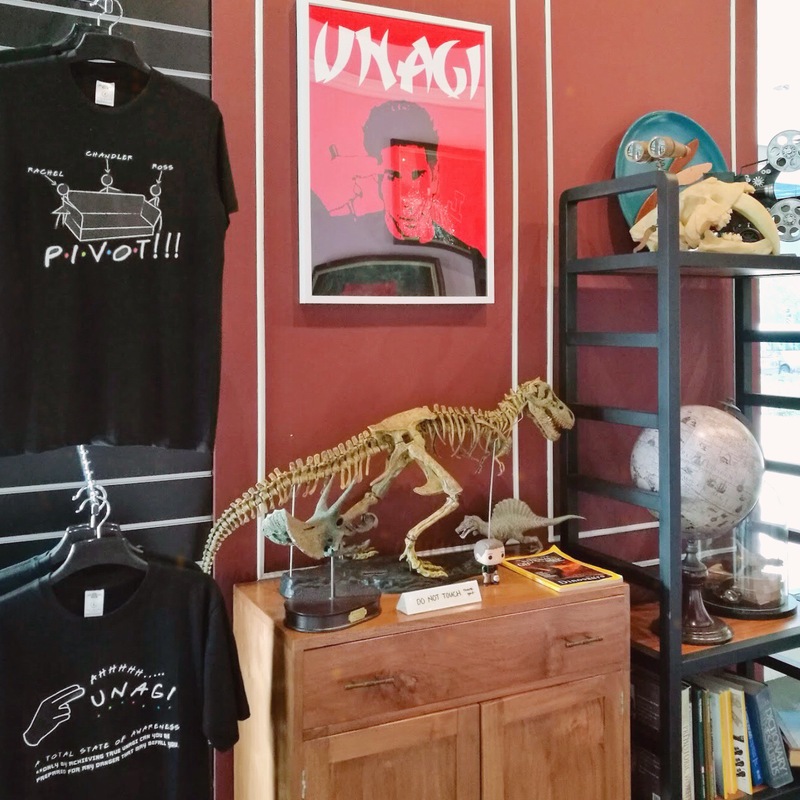 Go for the novelty, stay for the food, and just relish it because it's the nearest you can get to one of the most iconic television shows of all time. 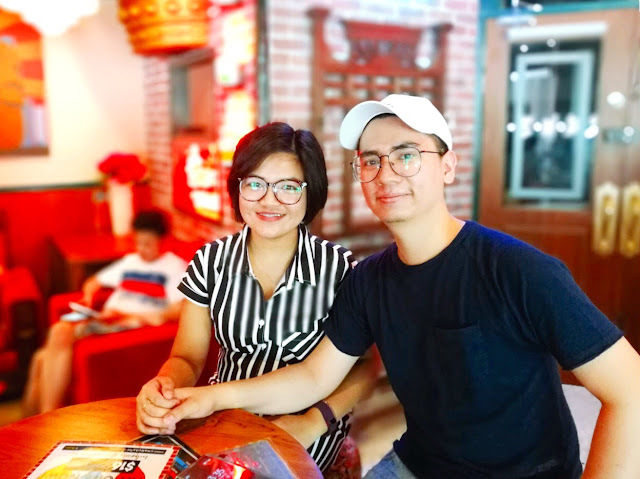 We will definitely go back and taste the other dishes in the future! 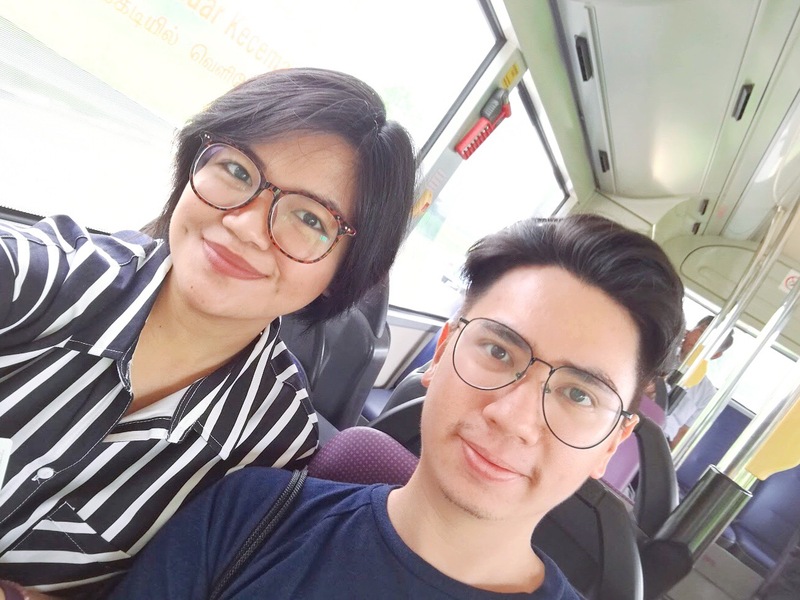 To exploring more places, eating more food, and experiencing more things with you, bb!